Since my current work schedule is hindering my recent movie-watching efforts -- apart from Shamo which I didn't like -- I've been reading a lot of comic books, specifically graphic novels or trade paperbacks or collected works -- whatever you want to call them -- I rarely buy an actual monthly comic book anymore. 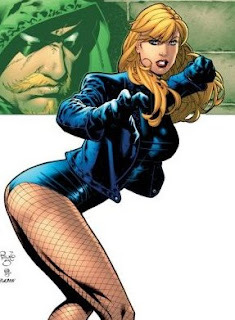 I am as jazzed for the Black Canary and Green Arrow wedding as I was for the Tony and Carina wedding. And, since I am not reading monthlies, I'm quite a bit behind as to what's actually happening to the characters currently. However, I did enjoy parts of this recent collection; some of Paulo Siqueira's art was quite good (at least in the early excerpts in this volume), and I was able to keep up without having read much of the recent material concerning either character. I have a soft spot for Green Arrow; I can barely remember having at least one or two of the seminal Dennis O'Neil/Neal Adams issues back in the the 1970s. 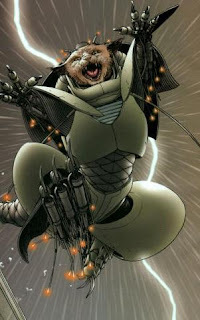 I'm now on a Frank Quitely kick -- yeah, yeah, yeah, I know Grant Morrison is a great writer but I'm still drawn to art first (growing up on Kirby did that to me) -- and I've read a few downright great things over the past few weeks. The one-off (?) 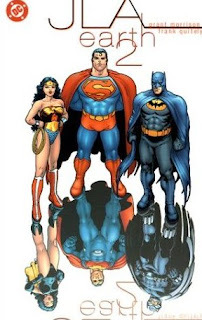 JLA: Earth 2 paperback is a fun, quick read that strikes the right mix of serious and silly. Not too keen on how Quitely draws every character -- that Wonder Woman is a bit rough -- but his Superman and Batman and Aquaman are impressive. Which leads me to All-Star Superman Vol. 1. Well, for once the hype is pretty much deserved. This is a beautiful book that makes the Frank Miller/Jim Lee All-Star Batman pale in comparsion -- and I'm not even that big a fan of the comics Supes as it is. Just a witty and wonderful little book -- not every chapter is great but the creators manage to tell familiar tales in a new way. And, again, the right mix of somber and silly (though I would have liked some crossover with the rest of the DC Universe). The early parts with Superman showing Lois Lane around the Fortress of Solitude reminded me of something from the old Heavy Metal magazine and, while that may sound like praise, it could illustrate precisely how this could alienate other Superman fans. And, finally, a rare non-superhero comic fell into my orbit, the magical Morrison and Quitely collaboration on WE3 which manages to pack more pathos and drama into three short issues than most films do in two or more hours. Just a touching and simple little science fiction tale that will bring a tear to the eye of any animal lover. Now, I'll see if I can work my way through the rest of the stuff in my "to be read" pile! "You Couldn't Change Your Life On $100,000?"